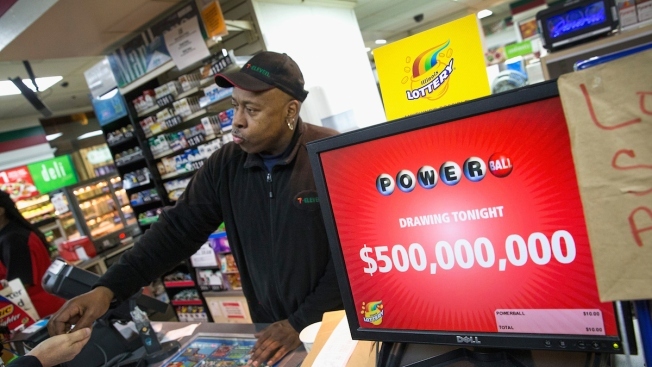 Kirk Cook rings up a Powerball lottery ticket sale at a 7-Eleven store on February 11, 2015 in Chicago, Illinois. Ticket sales have caused the jackpot to surge past $500 million, one of the largest in the game's history. Three tickets in North Carolina, Puerto Rico and Texas matched all six numbers to win the jackpot in Wednesday's Powerball drawing, according to lottery officials. The jackpot winners will split an estimated $564.1 million, the fifth largest prize in U.S. history, and the third-largest Powerball. There were also 33 tickets that matched all but the Powerball and will garner an estimated $1 million each, while one ticket matched all but the Powerball and with a Power Play. That winner will earn at an estimated $2 million. Chandra Siwakoti had no idea he sold a winning Powerball ticket at the food mart he owns in Princeton Norht Texas, until he encountered several media members at the store. "I asked them, 'Hey, what's going on?' They said, 'You hit the Powerball jackpot from your store,'" said Siwakoti, who owns Appletree Food Mart. According to the Texas Lottery, stores that sell winning tickets receive 1 percent of the jackpot portion sold in the state. The winner in Puerto Rico is the first outside the continental U.S. The winning ticket was sold at a Shell station in southern Puerto Rico, The Associated Press reported. "We are beyond thrilled with the news that we already have a multimillion-dollar winner just four months after Puerto Rico began selling Powerball tickets," said Antonio Perez Lopez, assistant secretary of the Puerto Rico Lottery. The winners in Puerto Rico and Texas have not yet come forward. There was no immediate information on the city or store that produced the winner in North Carolina. 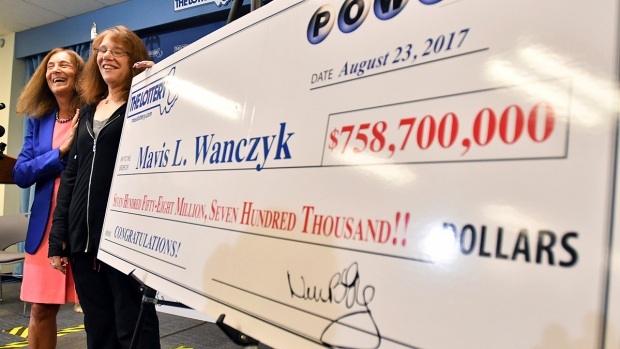 More than two months have passed since someone won the Powerball jackpot, so the prize has been gradually growing from its $40 million starting point. The last time Powerball grew nearly so large was February 2014. Because of strong sales, lottery officials Tuesday raised the estimated jackpot from $450 million to $485 million. On Wednesday it jumped to an estimated $564 million, although the take after taxes is much less. Winners would split $381,138,450.16 before taxes if they take the lump sum payment, The Associated Press reported. Should they choose an annuity, they would receive payments 30 times over 29 years. Lottery officials are quick to point out that the game is for fun and a chance to dream. They noted the chance of winning a Powerball jackpot is about 1 in 175 million. Powerball revenue has been down slightly during a drought of jackpots, but officials say this big prize caused sales to surge. The winning numbers in Wednesday's drawing were: 11, 13, 25, 39, 54 and the Powerball 19. Next Saturday's drawing will be worth $40 million.